Kackman, Michael, Marnie Binfield, Matthew Thomas Payne, Allison Perlman, and Bryan Sebok (Eds.). 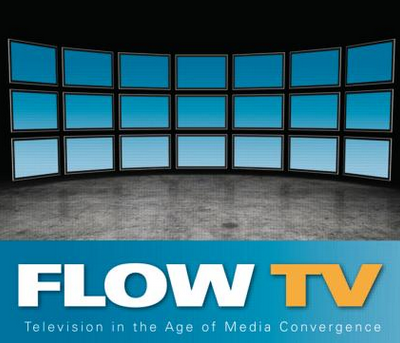 Flow TV: Television in the Age of Media Convergence. New York: Routledge, 2010. From viral videos on YouTube to mobile television on smartphones and beyond, TV has overflowed its boundaries. If Raymond Williams’ concept of flow challenges the idea of a discrete television text, then convergence destabilizes the notion of television as a discrete object. Flow TV examines television in an age of technological, economic, and cultural convergence. Seeking to frame a new set of concerns for television studies in the 21st century, this collection of all new essays establishes television’s continued importance in a shifting media culture. Considering television and new media not as solely technical devices, but also as social technologies, the essays in this anthology insist that we turn our attention to the social, political, and cultural practices that surround and inform those devices’ use. The contributors examine television through a range of critical approaches from formal and industrial analysis to critical technology studies, reception studies, political economy, and critiques of television’s transnational flows. This volume grows out of the critical community formed around the popular online journal Flow: A Critical Form on Television and Media Culture (flowtv.org). It is ideal for courses in television studies or media convergence.